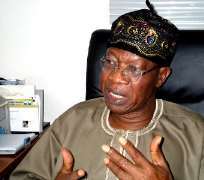 The Minister of Information and Culture, Lai Mohammed, while speaking with State House correspondents at the Presidential Villa on Tuesday said, “I want to say categorically that, that story is false. Predictably, the Atiku Media Organisation, this afternoon, latched onto the story. We are not surprised. When asked if it is possible to factor the amount of rice being smuggled into the country into the official figures he released, the minister said, “You cannot claim that smuggled rice is part of rice imported into the country. Yes, we do know we have a challenge with smuggled rice but we have taken steps to ensure that these menace is contained.